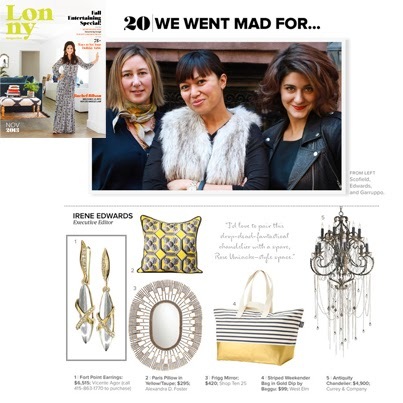 Many thanks to Lonny Magazine for featuring our 18kt gold, diamond and rock crystal "Fort Point" earrings as part of the "We Went Made For..." editorial in the November 2013 issue. In this monthly feature, the Lonny editors highlight their favorite finds in home products and fashion. How excited were we when the Executive Editor, Irene Edwards included our earrings as part of her curated picks?!??!! Well, if the exclamation points in the previous sentence didn't drive it home, let me say, yes, we were very excited! The "Fort Point" earrings are from our Swell Collection. The Swell Collection was inspired by the ocean and by the city of San Francisco. 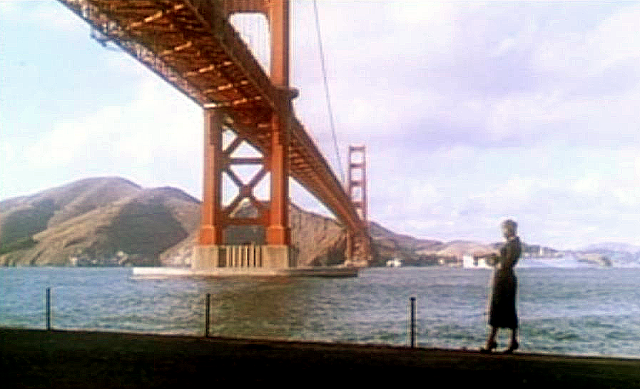 Fort Point in San Francisco is under the Golden Gate Bridge, and was famously a part of Alfred Hitchcock's 1958 movie, "Vertigo." For those of you not familiar with Lonny Magazine, it is a wonderful online magazine filled with stylish design ideas for your home. 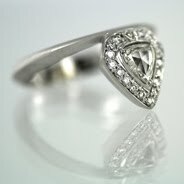 Check out their website here and be fabulously enamored. vanity fair holiday gift guide 2013. 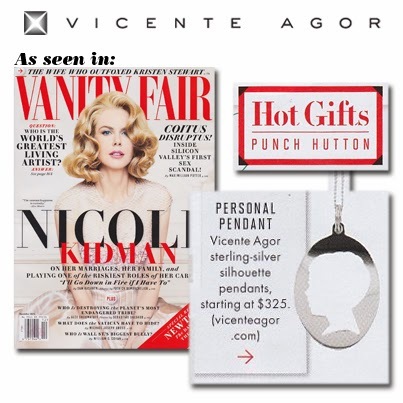 Many thanks to Vanity Fair Magazine for including our silhouette jewelry in the Holiday Gift Guide, December 2013 issue. Send us a photo, and we will make a personalized pendant for you by hand-cutting a silhouette of your child or a loved one in sterling silver or 18kt gold. One of the reasons we love making these silhouette pendants is because they are one of a kind and truly personalized. Each silhouette is cut individually by hand, not made with a laser machine or with a stamping machine. Also, the silhouette is cut out, so that when you wear them, your skin (or your blouse or shirt) shows through. In other words, you as the wearer create the silhouette background. To us, that makes these pendants even more special. As one Mom said, "My children are a big part of my life, so the fact that I'm a part of this necklace of my children...well, I love it!" We love it too! For more information on ordering, check out our website here.